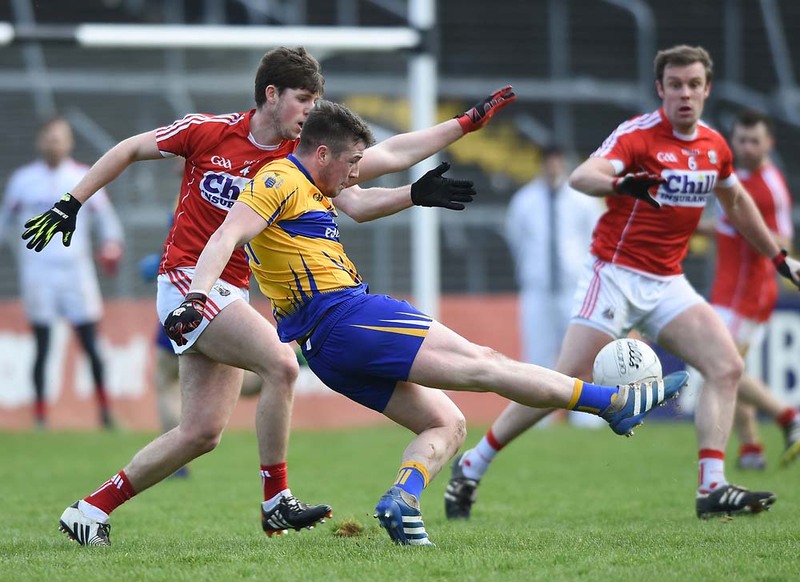 “IT is not a life and death issue,” according to Clare senior hurling manager Mike McNamara. Speaking with media representatives at the West County Hotel following Clare County Board meeting on Tuesday night, McNamara added, “The decision of tonight’s meeting was to try and resolve any issues and get on with what we do best”. There was speculation throughout the day as to what the Scariff man might say to those gathered at the meeting, given that players had voted no confidence in his management by 26 votes to 1. “There were many occasions in the past 20 or so odd years that I have been with Clare that my services weren’t required and I went home and I smoked a cigar. If the time came when I was wanted, I was always there, so it’s not a life or death issue,” he stated. Asked if he was disappointed that attempts to resolve the issue had so far failed, he replied, “We really weren’t trying to resolve issues in the past few days, I must admit. It was something that was a little farther down the road. Sometimes it’s better to maybe mull over a few things before you jump in. When you jump in, you do so at the deep end and work your way out of there, if possible”. He said he was not aware if players had said what the actual problem is but added, “We are arranging a meeting, so I expect it will happen now”. He added that with the year Clare had, there would have to be issues. “Results are more important now than the actual displays. Some of our displays were quite good. Some were maybe heartbreaking in the sense we had played very well on occasions. Our Munster championship tilt with Tipperary on which we had placed all our hopes as do every year, was in the balance with time up. There are a lot of positives. The mood of the delegates now is that the players, the management, themselves and the county board get together and resolve the issue, if that’s possible. If we resolve the issue, we go forward and if we don’t resolve the issue, we won’t be talking or dragging things out next March, I can assure you,” he said. Board chairman Michael O’Neill stated that the situation is not “anti Mike Mac or anti player”. On the question of having media representatives leave before he addressed delegate, McNamra stated, “I have stated quite categorically that this is an internal issue and will be dealt with internally. I have no issues dealing with the press. I requested a private meeting as I wanted to talk to delegates. I have no issue talking to journalists and never will. I never want to be in the limelight but it is part and parcel of the job”. Was he disappointed with the players’ reaction? “If you win, everything is rosy in the garden and if you don’t, there are problems and unrest; sport is about winning. While every team can’t win, there is an onus on management to present winning teams on every given day. That can only be done with a panel of players. In our case, we had 10 of the 21-year-olds training with us most of the year with a view of going forward. We saw, as a management team, that we have to go to youth,” he replied. Asked if he had made up his mind coming to the meeting if he was going to stay on or go, he replied that “the mood of the meeting decided tonight to try and resolve an issue and I am quite happy to go with the mood of the meeting”.